We’ve undergone a long chilly winter where the cold dark evenings have kept us cooped up indoors in front of the fire to keep us nice and toasty. After a long and tiresome hibernation period, I think that we are in much need of some revitalising vitamin D! Slowly but surely we are edging into the balmy summer evenings approach. With the weather starting to perk up a little and the days starting to grow longer, it’s time to start thinking about how we are going to make the most of the luscious British weather in the comfort of your own garden. Nothing brings people together like good food, good music and ultra-comfy Lafuma seating! 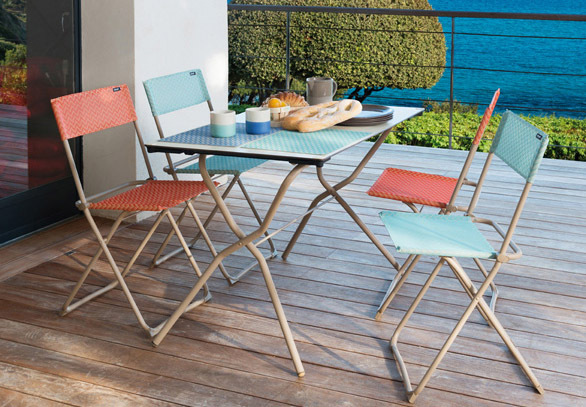 The Anytime range is perfect for all of your social and family gatherings this summer available a wide variation of colours that are guaranteed to cheer up any garden. 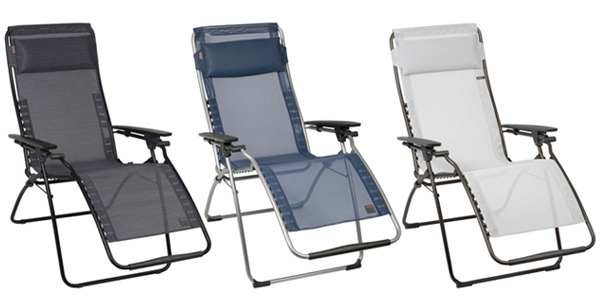 If you’re thinking about taking advantage of the lovely weather and setting up camp at the beach for the weekend then why not take the easy to fold and lightweight range with you? If you are like me and you get tired of finding bits of camping turf in your spag bol (due to the lack of tables and chairs) then the Anytime range makes the ultimate camping buddy! Due to Lafuma’s cleverly thought out compact design it is made to squeeze into the smallest of gardens or the snuggest of conservatories. 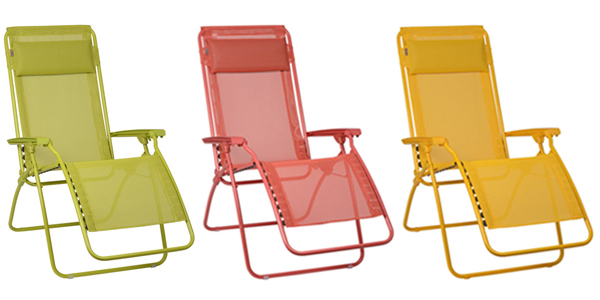 Sit Back And Soak Up The Sun! There’s no fuss when it comes to cleaning this recliner as you can easily unclip the mesh for a quick wash, then when you are in need of some more tranquil lounging time simply clip back into place and lounge away. The Recliner R Clip is highly easy to operate – In order to reach your desired reclined position simply sit back and put your feet up! All you need to do is use both of your feet to push up the foot bar, and lean backwards pressing against the back of the recliner to ease into your favourite position. After a long day of gardening there is nothing quite as satisfying as kicking back and enjoying your hard work in a luxurious Lafuma recliner. The Futura Clip Design is almost identical to its sibling the R Clip recliner, except this particular chair has been tailored with extra clips fitted further up the back of the seat giving you a more secure stance with extra added support. With this particular model you can laze with ease as you only need to operate the arm rests to retreat into your chosen position. This helps reduce the strain on your legs and back so that you can enjoy a relaxing afternoon snooze. For those who are a little taller than others then the Lafuma Futura XL is the perfect option for you. The XL provides you with 125cm x 76cm x 90cm of space when open. Lounge in the highest level of luxury with the gorgeous Futura Air Comfort. What makes this Futura Air recliner the top dog? As well as featuring the clever clip system, it also includes 3 exceptionally comfortable and technologically advanced padded layers, which allows you to experience the pinnacle of relaxation, (perfect for when you want to indulge in some much needed R&R time!) The 3 featured layers won’t retain water and are supremely fast drying, so there is no need to worry about those pesky summer showers spoiling your recliner. The top layer is also breathable, ideal for those sticky summer days! Warning: You may forget that you are lounging in your back garden and not perching on a fluffy cloud! If you enjoy the clip system on the recliners, but you want to lounge horizontally then take a look at the Lafuma Sunside Plus sunbed. 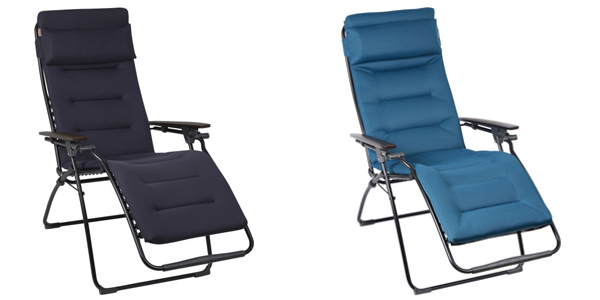 Whether you like lying back in your garden and hunting for shapes in the summer clouds, or if you enjoy stargazing up at the night sky, the Siesta Sunside Plus is the perfect companion to do so. 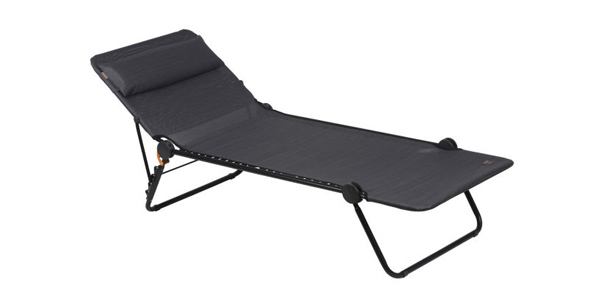 It reclines to a maximum of 4 different angles, features an anti-pinch and anti-shock, safety, structure and uses an extremely strong Batyline weaved material for full body support. The Lafuma Sunside Plus Sunbed also comes with a removable headrest cushion to give you that little bit of extra comfort. This sunbed may be UV resistant, but you aren’t so make sure to top up on your factor 50! If you would like any further information on the products mentioned in this blog then give our lovely customer service members a call on 01342 377089. 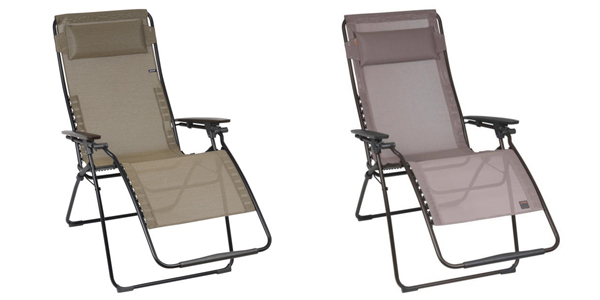 Chairs, Garden, Lafuma, Lafuma Air Comfort, Lafuma Anytime Range, Lafuma Futura Clip, Lafuma Futura XL, Lafuma R Clip, Lafuma Sunside Plus, Recliner, Seating, Sunbed. Bookmark.